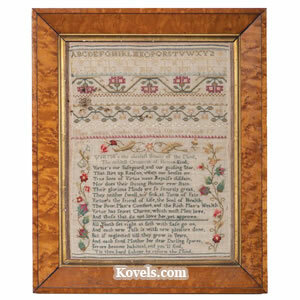 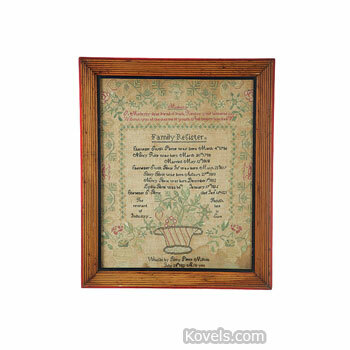 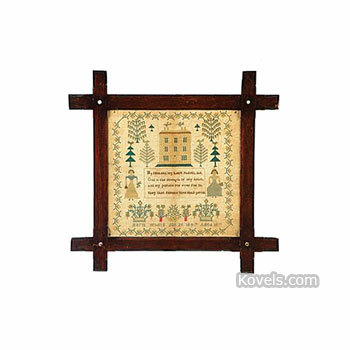 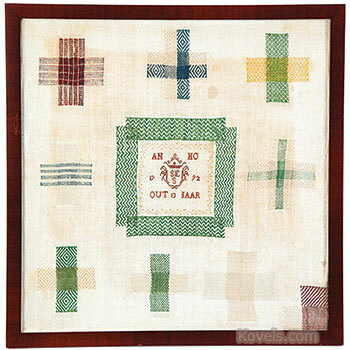 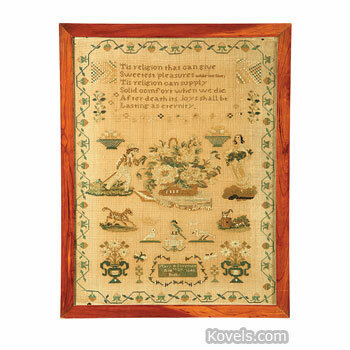 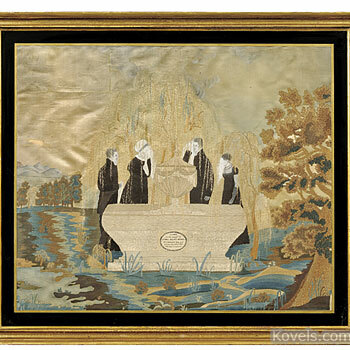 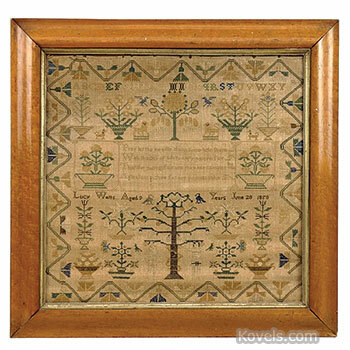 Samplers were made in America from the early 1700s. 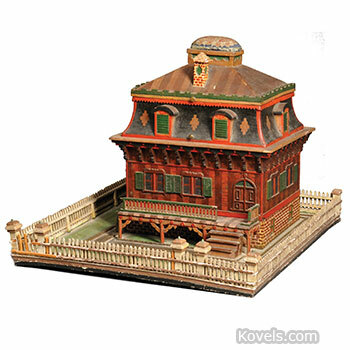 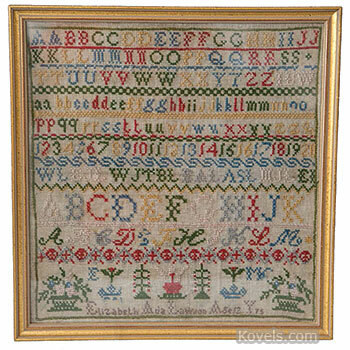 The best examples were made from 1790 to 1840. 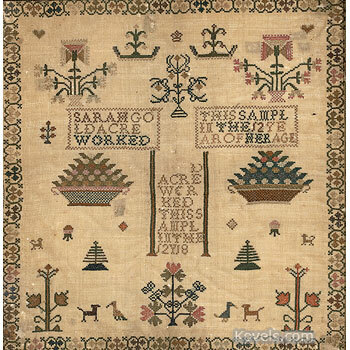 Long, narrow samplers are usually older than square ones. 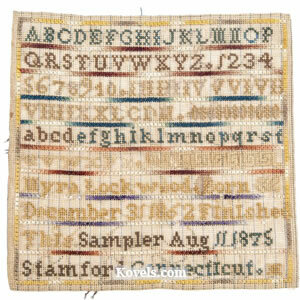 Early samplers just had stitching or alphabets. 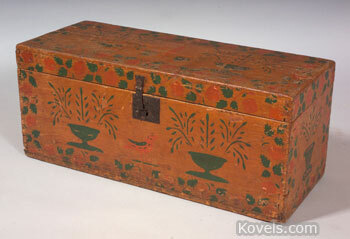 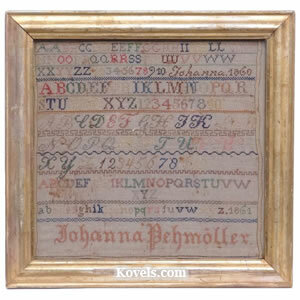 The later examples had numerals, borders, and pictorial decorations. 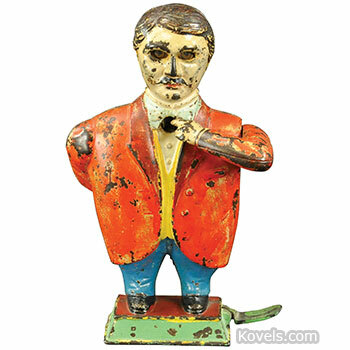 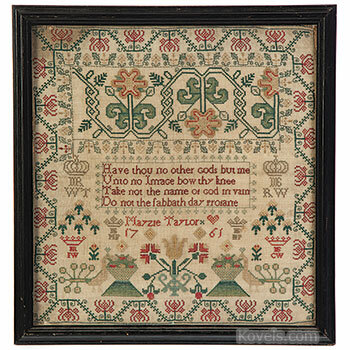 Those with mottoes are mid-Victorian. 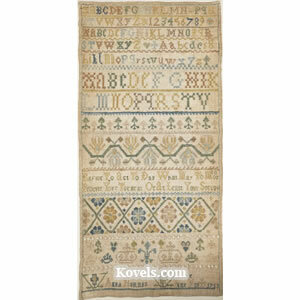 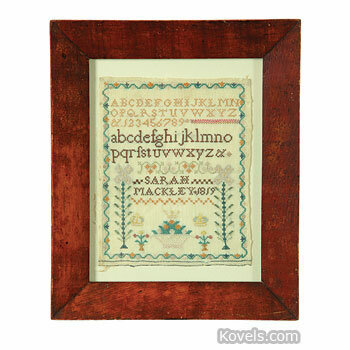 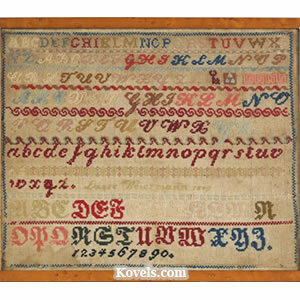 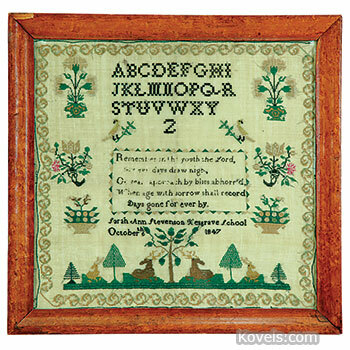 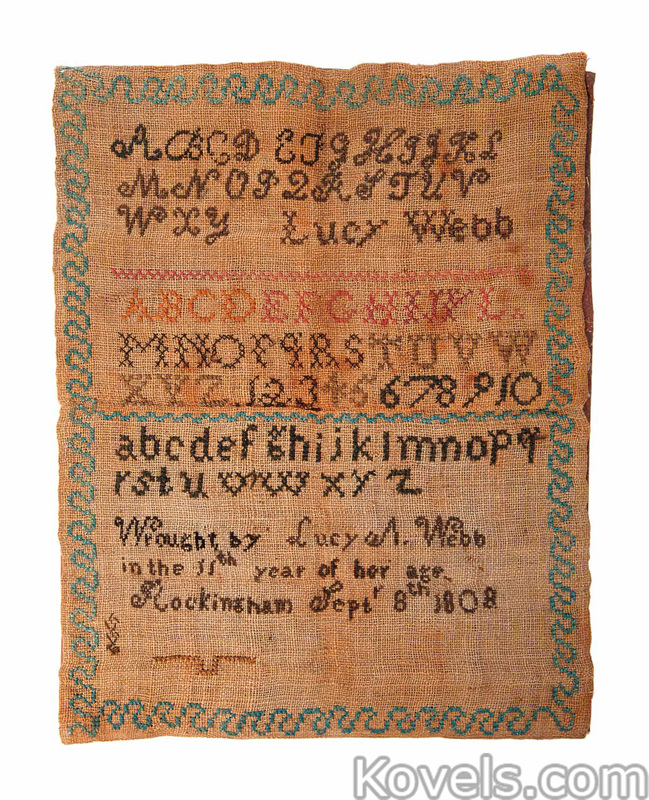 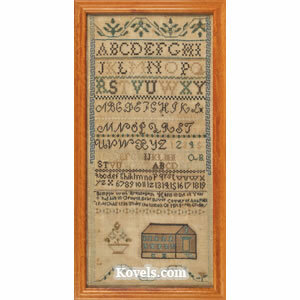 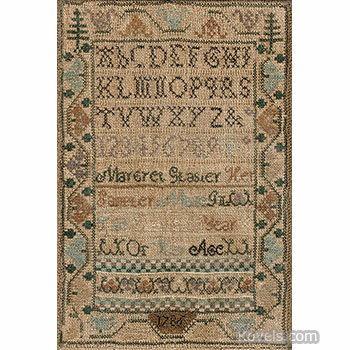 A revival of interest in the 1930s produced simpler samplers, usually with mottoes. 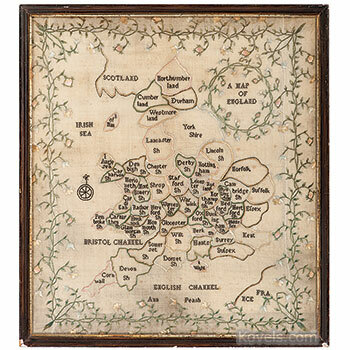 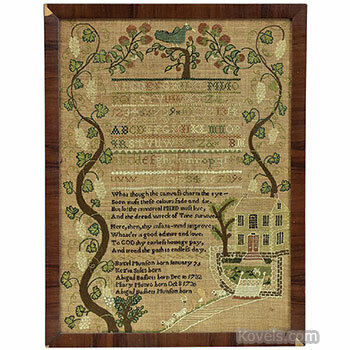 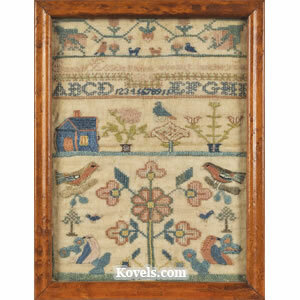 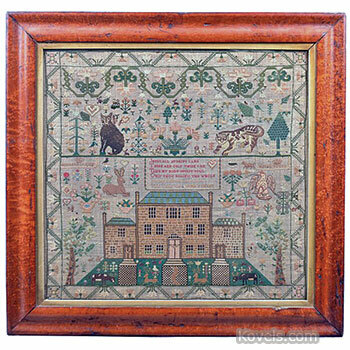 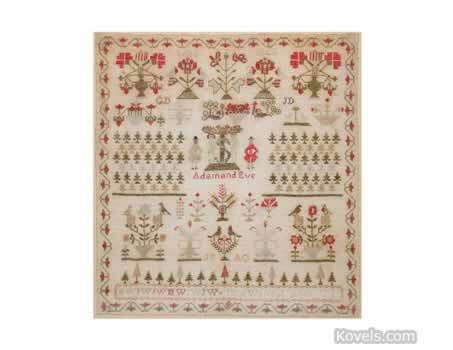 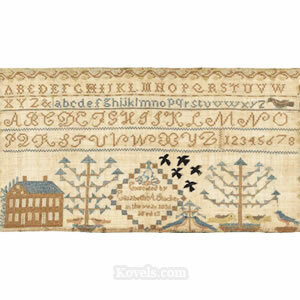 Seventeenth-century samplers are rare and it is said there are only five samplers from before the seventeenth century known to exist.